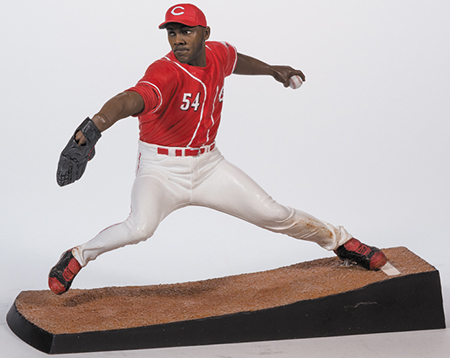 The 2014 McFarlane MLB 32 Sports Picks lineup has a phenom, a legend of many hats, a flamethrower and one who holds a crown. 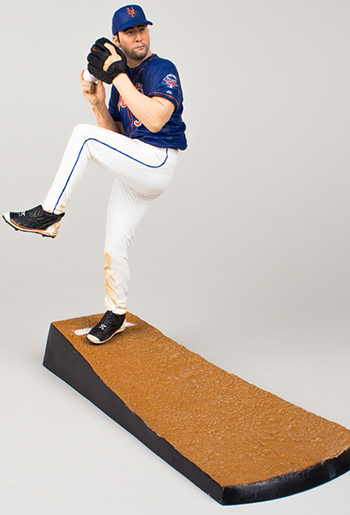 And no, McFarlane isn't making today's baseball stars into fantasy figures (although a Fleer Pro Visions-inspired line might be fun). 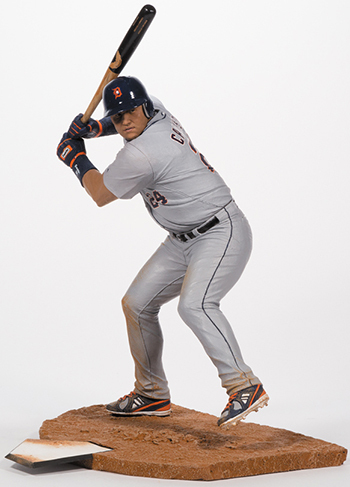 The seven-figure series includes five players who are getting their first McFarlane pieces. 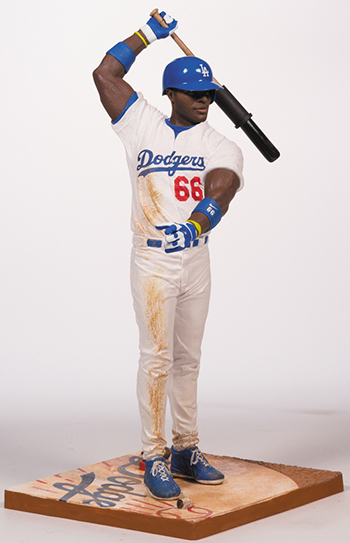 Not surprisingly, Dodgers super rookie, Yasiel Puig, makes the cut. 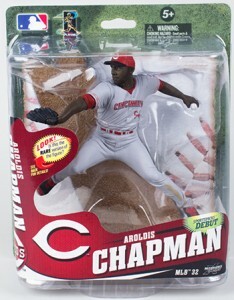 Other McFarlane debuts include Manny Machado, Yadier Molina and Aroldis Chapman. Mets pitcher, Matt Harvey, is also included. His figure is available direct through the McFarlane Collector's Club and not in stores. 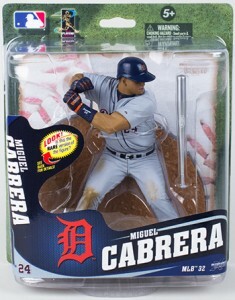 2012 Triple Crown winner, Miguel Cabrera, gets his first non-exclusive Sports Picks figure in a Tigers uniform. 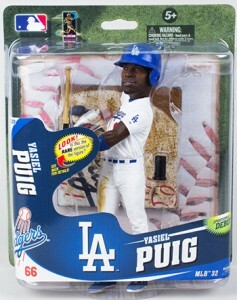 He appeared in MLB 23 for Detroit but the piece was only sold at Toys 'R' Us. 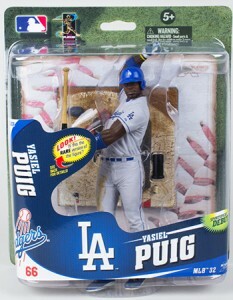 He also had a figure in 2006 as a member of the Marlins. 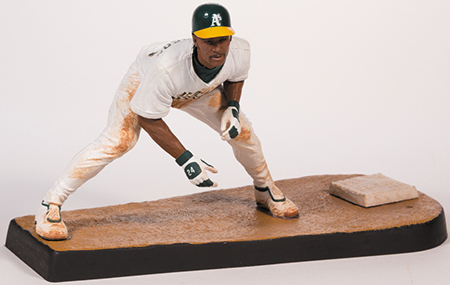 The final figure in 2014 McFarlane MLB 32 is Hall of Famer, Rickey Henderson. Although he's listed as a member of the Oakland Athletics, the piece comes with a cap from every MLB team he played for: Athletics, Yankees, Blue Jays, Angels, Padres, Mets, Mariners, Red Sox and Dodgers. This is the first time that a retired player has been in the main baseball Sports Picks lineup since 2012's MLB 29, which had Harmon Killebrew. McFarlane MLB series 32 CC EXCLUSIVE Matt Harvey NY Mets blue jersey BNIP! 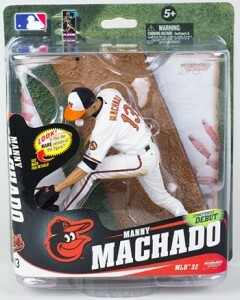 McFARLANE MLB SERIES 32 ORIOLES MANNY MACHADO CHASE #092 750 PRODUCED. Hi , I don’t see Harmon Killabrew in the line up . 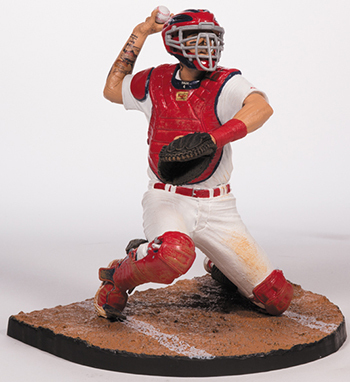 Do you know if Spawn is done making Cooperstown Figures .